It's Mother's Day! 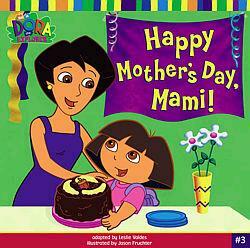 Dora has decided to make a special cake for her mami, but first she must gather all the ingredients. Join Dora as she gets ready to make her mami's Mother's Day present, and find out what her friends make for their mommies along the way!